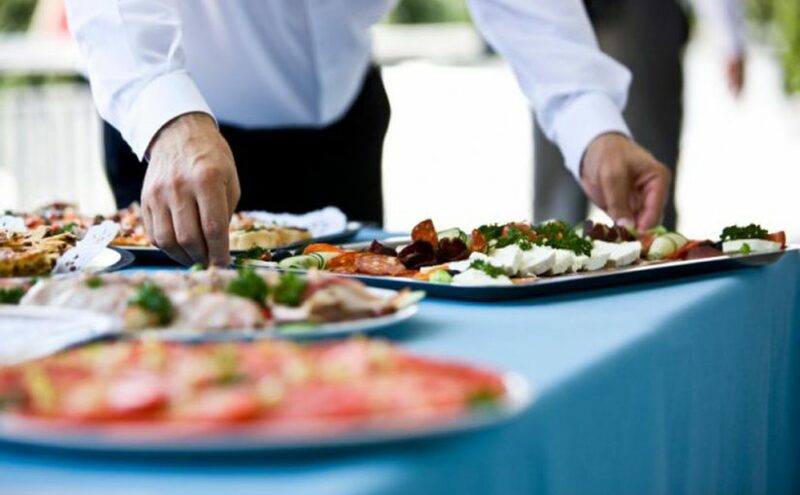 One of the most important line of work, one of the most debated too, is without any doubt catering. There is a large number of people that dream to work or to invest in this sector. Knowing what is public catering with direct administering can be fundamental for those who shows interest in this fascinating and multi-colored world. It’s no coincidence that when people decide to start a catering business such as bar or whatever plans to adminsitrate food and drinks, they attend a qualifying training course in order to learn everything about this topic. This kind of courses are named SAB, back in the days their name was REC courses (Italian acronym for Registro Esercenti Commercio). There are many of them but they are a really sought-after courses in almost every region. The difference between each one can be cost, circumstances and the different type of business but somehow they range the same subjects, from legislation to hygiene and heath. Moreover they deal with catering techniques, safety work standards and all kind of marketing strategies that have been planned until nowadays. Obviously courses have to be organized by certified authorities that possess the requisites established by the region where they operate. In the next paragraph we will discuss about who has to attend qualifying training courses, which are the criteria used to avoid their compulsoriness and later on we will understand precisely what is public catering with direct administering. When food and drinks training courses are compulsory? As we earlier said, who decides to step up his game in catering or in a food and drink business, has to attend SAB courses provided by his region. There are some exception, that let you avoid to attend this courses. Indeed, if the person concerned has a 5 year professional experience in a business that serves food and drinks he won’t have to register to or attend any course. The same thing is valid in the case the person possess a university qualification or a high school or three-year diploma related to the business he is going to start. 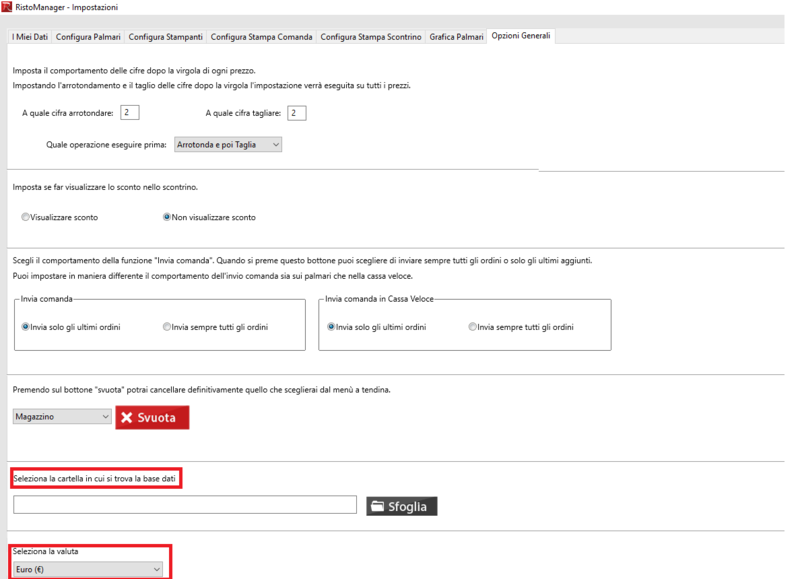 Last but not least if you are already register in “ registro esercenti” you are exonerated too. It’s important to remember that who has to attend a SAB course, needs to pass the exam with a positive result in order to be authorized, and he has to do it following the ruels and fulfilling the minimum amount of hours established by the authorities. It’s important to verify that the authorities and websites that offer the courses possess all the certification and requirements that allow them to release a valid certificate. What is administration of food and drinks? It’ defined administration of food and drinks the type of business related to the trade, distribution, and consumption of food in a public space or building. The definition is valid also for vending machines. One of the things that defines the concept of administration is whether or not there are employees and there is a waiting service in the commercial activity. In case of the employees take care of the customers but there is no waiting service, we can’t talk about food administration. An example could be buying something in a market, but also in an ice cream store, a deli or a shawarma stand. In this cases the definition is retail trade activity because the food is purchased and paid without waiting service. What are the characteristics of administration activities? There are various characteristics and requirement that identify an administration activity. First of all, as concerned their location there are no limitations about where to start one, with the exception of municipal regulations. Moreover they have to be monitored with ease and to observe the ministerial decree issued in December 92 that established the monitoring criteria about public administration activities. This criteria differs on the bases of whether the activity is opened to the public or only to a small amount of people. Food administration activities, defined as “unique type”, must follow hygiene and health rules. This activities have the possibility to offer a takeaway service for food and drinks that they sell without any further authorization. In the end we remember you that there aren’t laws that prevent a joint exercise between different type of activities, even thought there are different owners. The problem about this is that some standars, such as surveillance provisions, make it an unacceptable way. Restaurant : what are the future trends? The restaurant is undoubtedly one of the working sectors that works best in Italy and the motivations are simple enough to understand. In our country, first of all there is a great interest around food as our cuisine is one of the most famous and appreciated in the world and has a great history and tradition behind it. Even the many television broadcasts focused on the kitchen like Masterchef, have contributed to accentuate the interest in a world so different and so fascinating. Furthermore, another aspect must not be neglected, namely that of conviviality. For many people, therefore, eating together becomes an opportunity to establish new relationships or to cultivate friendships. But food can sometimes also be an opportunity to start new and profitable professional collaborations, taking advantage of the climate of harmony and friendship that is created among people in front of a tasty dish. According to some statistics, Italy is one of the countries in Europe where we eat more away from home for many different reasons. For example, especially in the South, it is a well-established tradition to organize family gatherings to celebrate birthdays, anniversaries or other occasions, eating out in places such as agritourisms, trattorias or restaurants that are characteristic of the place. Restaurant is therefore one of the sectors in which entrepreneurs are more motivated to invest, despite the economic crisis and the tax conditions that, as we know, in our country are not favorable and that usually have the power to discourage anyone who wants to get in touch discussion as a freelancer. In this article we are going to discover together what are the future trends in the field of Restaurants a topic that is of great interest both for those who love cooking and for those who have the dream of setting up their own business and want to understand what to point from the point of view of marketing. In the last 5 10 years a trend that is spreading like an oil stain is definitely linked to the street food that has main characteristics: the speed with which you cook food and the fact that you consume in the street. The foods are varied and range from tortillas, sandwiches, chips or even international stuff and this formula like about 30 million Italians because you can eat while you are walking with family or friends and at reasonable prices. It also gives the opportunity to know foods related to the place where you live or a place where you are on vacation. Every year more and more shows dedicated to street food are organized and for this reason the most popular products are usually local ones to the detriment of food coming from abroad. But sometimes unfortunately the quality of food is very low and that’s why we often talk about junk food. What is certain is that from the point of view of the business, it is a market that is increasingly gaining ground in our country and demonstration of this was born in 2008 the Italian Street Food Association, which has the function to bring together the best of craftsmanship of taste in Italy and training and information around the theme of street food and its traditions. In 2012, thanks to the publishing house specialized in Lonely Planet travels, the first guide to the best street food in the world was born and the year after an Italian version was also released by Gambero Rosso, which soon became an App. Finally, it is good to emphasize that for those who have a traditional activity, street food can represent a winning promotional idea, to be proposed perhaps during some important event or city review. According to the Eurispes data this year about 8 percent of Italians have chosen not to eat more meat and to embrace the vegetarian diet and between these more or less 1/3 has then moved on to the vegan cuisine and then in addition to giving up meat and fish, does not consume meat derivatives. The increase in this phenomenon has various reasons ranging from the ethical factor to the food, both important for those who make a choice that is not easy. All this has obviously also affected those who work in the catering sector, as they had to adapt to a request for dishes different from those that are typical dishes of Mediterranean cuisine. The change has been slow and has caused some practical problems for vegetarians and vegans, who have often found themselves in situations of discomfort, when they could have dinner with friends or family and could not find the food suitable for their food journey. Things are significantly changing and a virtuous circle has been created that has led in recent years to an ever-increasing presence of premises dedicated to vegans throughout Italy: shops, trattorias, bars dedicated to smoothies and extracts, but also gourmet restaurants and haute cuisine. But now also many local vegans that do not have a vegan or vegetarian offer some vegan dishes and have a part of their menu dedicated to alternative cuisine, to the delight of some chefs who can get crazy in experimenting with new things. In Italy we have the great fortune to have one of the best kitchens in the world and one of the most envied by many European countries. In fact, dishes such as pasta or pizza are loved everywhere and many Italian entrepreneurs have over the years positively invested abroad opening up Italian restaurants and bars, which are frequented by both Italians and locals. A nice thing about Italian cuisine is that it is very varied and different, depending on the region where it is located. But to the great defect of our country, until a few years ago, was to be very closed towards of oriental food. Things have luckily changed and more and more people are passionate about the oriental cuisine that is very varied, tasty and refined. As a consequence of this, many Japanese, Chinese and Thai restaurants were born, but above all, many sushi bars were born more or less throughout Italy. Some of these rooms offer lower quality products and formulas such as the famous all you can eat that allows you to eat little and focusing on quantity, while other oriental and ethnic restaurants are definitely more expensive but at the same time more varied and refined . The trend of restaurants in the coming years, as we have seen in this article, will move in two directions: on the one hand there will be a continuous re-evaluation of the tradition of Mediterranean cuisine, which has been part of our culinary culture for many years and can not be abandoned, but it needs to continually renew itself. But on the other hand it will be important to open up to new worlds, such as that of oriental and ethnic cuisine and vegan and vegetarian dishes, with a view to integrating two very different traditions, but which can find points of contact and offer alternatives to those who love to change and experiment continuously. Moreover, many entrepreneurs will have the opportunity to invest and obtain good results both from the point of view of credibility and of the business. Moreover Media are broadcasting new type of reality shows, such as Masterchef. This phenomena led people to appreciate and comprehend better all the fascinating aspects of the world of cooking. Last but not least we should consider how much people enjoy eating together. For the most dinner and launch are ways to chill out with friends or making new one. This peaceful atmosphere fits also for professionals meetings. What’s the best way to start a new partnership in front of a tasty dish of food? 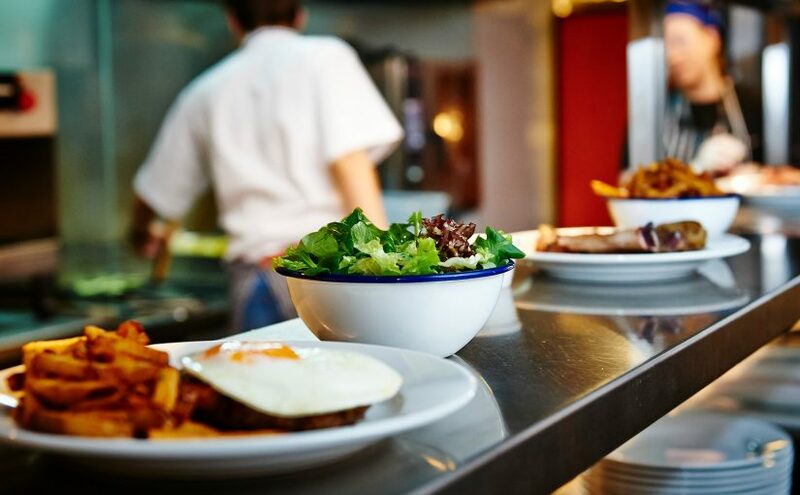 According to some statistics Italy is one of the European country with the most quantity of people obliged to eat in restaurants, or similar facilities, due to different reasons. For example in the south of Italy Tradition is to organize a meal in the occasion of birth date, anniversary, or similar events and eat together in places such as Trattorie Agriturismi or restaurants belonging to the neighbourhood. So, Catering is the sector where businessman are more interested in. They invest their money even tough crisis and financial conditions that afflicts Italy and that often demoralize everyone who want to become a free agent. In this article we will discover together what’s next in the future of catering, a big deal for people who love coking and for free agents who wants to understand what’s the best financial move to do. In the last 5/10 years a new type of catering is spreading like wildfire. We are talking about street food known for the quickness and the simplicity of its dishes and also for the place where dishes are eaten: streets. Foods are various, you can eat Piadine, Panini, french fries and different types of International street foods. 30 millions Italians prefer this type of catering because of its possibility, you can eat while you are walking with your friends or family without spending so much and you can discover traditional foods about the country you live in or you visit. Each day the number of events referring to street foods increase and that is the reason why people loves traditional foods more than foods that comes from other countries. Sometime happens that foods are not good enough and their raw materials are low quality one. So this compare street food to junk food. The financial point is, that street food is a market in continuous growing in our country. This is proved by the birth in 2008 of Associazione Italiana Street Food, whose function is to gather the best of the Italian street food makers ad to form and inform them about traditional foods and their roots. In 2012, thanks to the publishing house Lonely Planet, the first guide to the best street food of the world was born. The year after Gambero Rosso proposed an Italian version of the guide that soon became an app. It’s good to know that for traditional cooking activities, street food can be a winning promotional idea when talking of important event or festivals. According to Eurispes data this year approximately the 8 percent of the Italians chose to avoid eating meat and became vegetarian. Among vegetarians 1/3 are vegans, people who don’t eat meat neither fish or other foods that comes from them. The growth of this phenomena has various motivations that spaces from the ethical factor to the foodstuff one. This factors are important for people who decided to be vegan or vegetarian. This movement influenced not only the person who made the choice but also catering services because food facilities needed to adapt themselves to the customers requests. The change was slow so it provokes some problems for vegans and vegetarians who felt uncomfortable when they ate together with friends or with their family because they couldn’t find appropriate foods. Things begin to change. 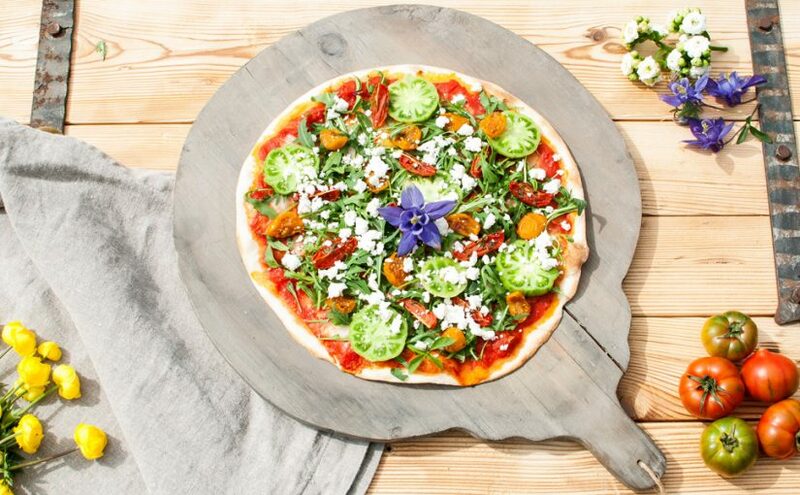 A new market is growing, each year the number of vegan food restaurants increase all over Italy: Botteghe, Trattorie, bar and gourmet restaurant. 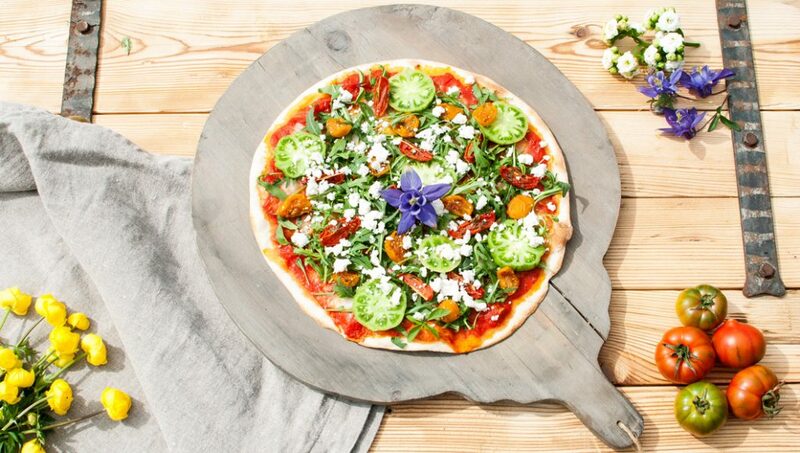 Recently even standard food facilities offer vegans dishes, and part of their menu is dedicated to alternative cousin, for the joy of some chefs who can create new type of foods. The weight of the Asian food on Catering. It’s a big pleasure to live in Italy one of the best country in the world referring to gastronomy. Our cuisine is one of the most envied in Europe, we propose dishes like pasta or pizza, they are appreciated everywhere. A lot of Italian businessman in the last years has begun to successfully invest in abroad Italy country and to open Italian restaurants which attracts Italian and native client. One of the good thing about Italian cooking is it’s variety which depends on the region you visit. One of the bad thing about Italians of the past was its closure to new type of food such as Asian one. Things hopefully changed, more and more people appreciate Asian various ,tasty, and sophisticated foods. This caused the birth of many Japanese, Chinese and Thai restaurants especially a great number of sushi bar spread in our country. Some of them offers medium quality products and competitive prices using also ”all-you-can-eat”( As the sentence says with a standard small amount of money you can eat literally anything) others offers high quality products more expensive but also more sophisticated. The trend of catering of the next years has started moving in two directions: left side there is the increase in value of traditional cooking, part of our culture from years, that needs to be continuously renewed. Right side it’s important to open up about new type of cooking such as Asian or vegetarian food in order to mix different tradition and offer more variety. These direction offer to business the opportunity to invest their money and achieve good financial and credibility results. Lombardy’s most traditional and original food are those that comes from the alpine valley of Valtellina near Sondrio and those that comes from Oltrepò of Pavia, where you can taste excellent wines such as “Oltrepò Pavese Metodo Classico docg”. We should not forget to mention the traditional dishes that cosmopolitan city of Milan offers for instance “Cotoletta alla Milanese”, “Risotto allo zafferano”, and Christmas lombardy’s first choice dessert “Panettun de Milan”, Milanese’s must buy for the perfect feast day. Butter, cheese, and dessert are the dishes more characteristic, there is a huge amount of main courses that deserve mention but the list is too long to write it down. Restaurants and Trattorie has a lot to offer, for our pleasure, so that our only task is to taste food without spending that much. In the following paragraph I’ll rapidly review 3 remarkable Restaurant in Milan. Situated in a cross street of “Corso Italia” it hosts customers in a little and simple building with few tables. 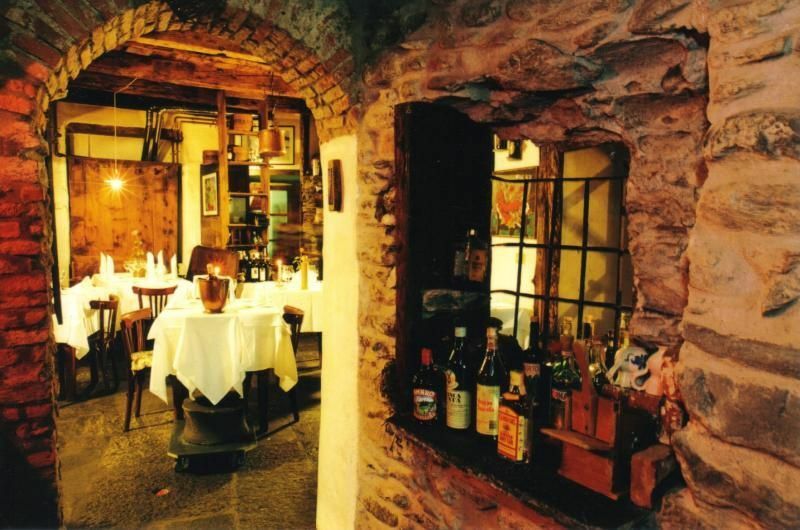 An authentic Trattoria, that hasn’t changed even tough catering evolution over time. A lady tells us orally in “milaness” (Milan’s dialect) the menu of the dinner: 3 main course and 2 second course. We chose “maccheroni allo zafferano e crudo” and “osso buco” combined with boiled potatoes. Both dishes were well cooked and tasty. After an Adequate bill we exit from the Trattoria pleased for the magical time travel that the atmosphere offered. You totally should make a reservation. 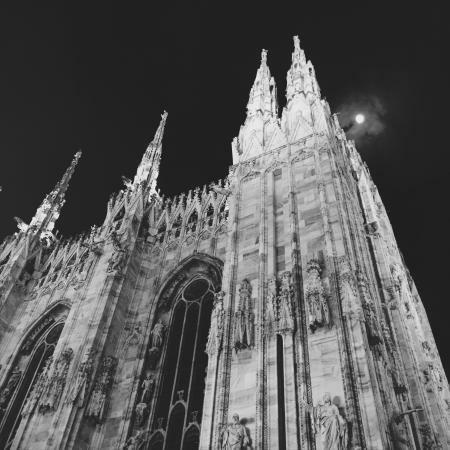 Its building reflects the story of the city, it’s located in the very centre of artist’s district in Brera and has a welcoming old style atmosphere. You won’t regret its traditional drinks and copious food made with high quality standards. La Libreria is the classic as-it-used-to-be Trattoria with as-it-used-to-be prices (low one). The landlady is rough but very pleasant. If you want to grab a seat just book it! This Trattoria is often crowded. It offers excellent tranditional dishes: “risotto allo zafferano”, “cotoletta”, “osso buco”, “trippa”, and a fair variety of wines, “bonarda” is light, fresh, flavourful and not that hard to drink. 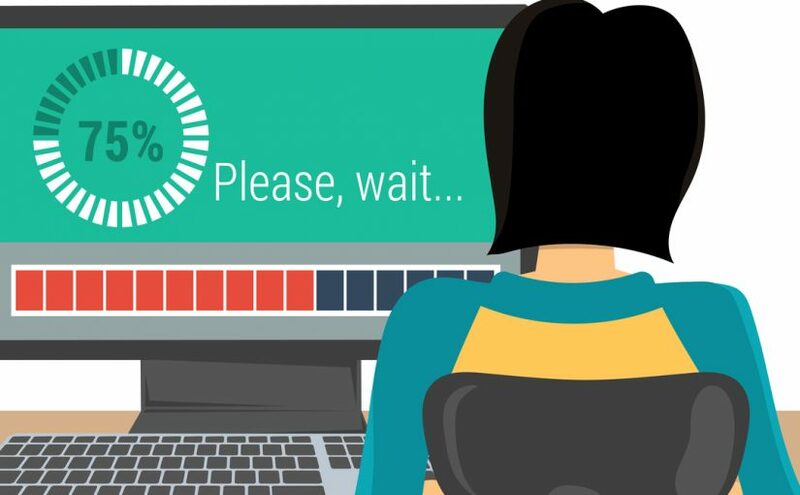 Waiting service suits customer’s requests and it’s very fast. Prices are a bit high, it can be said that this is the traditional Milan Restaurant in every way but overall it’s worth the price, very tasty. Once you cross from Est to West the river Adda, you’ll reach Como’s lake where the traditional most famous dish is wild animal meat combined with full-bodied wine. Valtellina is the area with the oldest and rich cooking tradition of Lombardy. Food is delicious and dishes are great! Luca and his co-workers well manage to cook and serve traditional dishes that have been renewed. The location is friendly and warm. My advice is to try it! An historical three-level building well refined and that can be proud of an excellent wine cellar. The main room is clean and there is enough spaces between tables that are set with wonderful tablecloth. The menu is short, this means that they worked on it even because the dishes are difficult to cook and understand. In particular we requested meat based dishes. Waiting service was professional, it was a shame we didn’t find distillate menu. Fair Price, and good quality quantity to price ratio. Tasty Tradition. It’s the ideal place where to go with friends if u want to eat and drink a lot and a lot good too. Food is delicious and portions are generous. Each time I ate in this Trattoria I was so satisfied. The price is affordable and the menu is various. This Trattoria is something you won’t forget, it is warm welcoming and offers hig quality products too that comes from Valtellina’s tradition. As soon as we set down the chef came to the table in order to talk with us! The location deserve some compliment for the furniture, awesome, that tells the story of the land. What’s left? 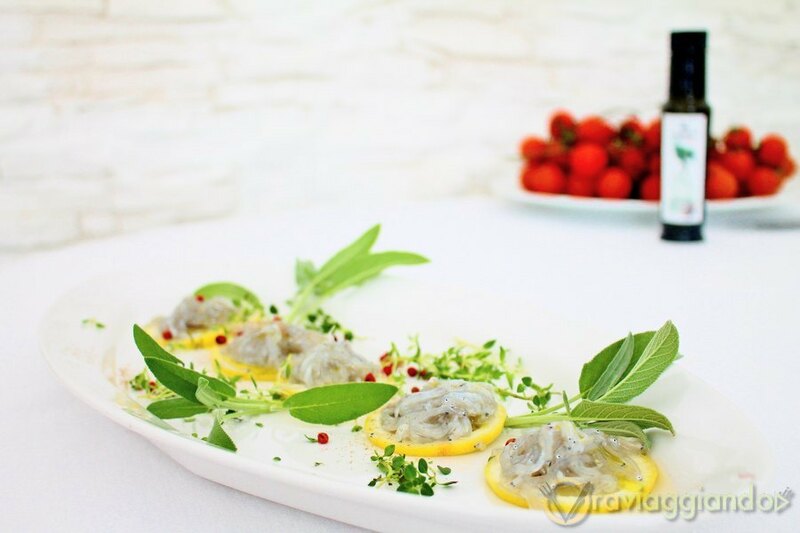 Really tasty cuisine of Valtellina made with passion. In this region Restaurants are capable of enhancing traditional recipes and bring them to the next level. Warm place characterised by the likable and original behaviour of he owner. 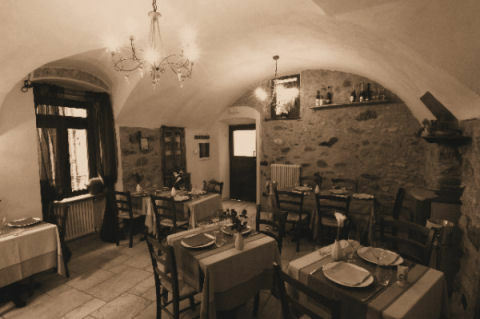 This Trattoria offers flavourful high quality food cooked according to tradition and good wines. As early mentioned its good cuisine matches with the owner style, Paolo is a unique man! Hardly recommendedto eat here! It is a well-finished location with kind waiting service where you can taste the best traditional dishes of Romans cuisine. Everything is flavoursome, starting from starters (very tasty artichokes with ricotta or baccalà), to main course (from “spaghetti cacio e pepe” to “linguine” with rockfish),passing throw second course (“trippa alla romana”,”coda alla vaccinara”, snapper with pistachio nuts) ending with dessert. We should highlight how good they introduce each dish and wine, the last one suggested by the competent and able waiter. The real Osteria, the one that everyione is searching is located in this little and well refined location that remembers a mountain cabin. Owners are courteous, polite and smiling. It instilled me glee. Food is high quality one, their family comes from Alpes this is a good thing for those who knows Alpine people. Dishes are copious. The authentic Osteria where you eat like a god. If you find yourself near Casteggio you have to stop here! Today we announce Ristomanager 1.2.1 release which brings to the public new features. First of all now you can select different currencies, you can swich from “euro”, the standard currency, to whatever you need. 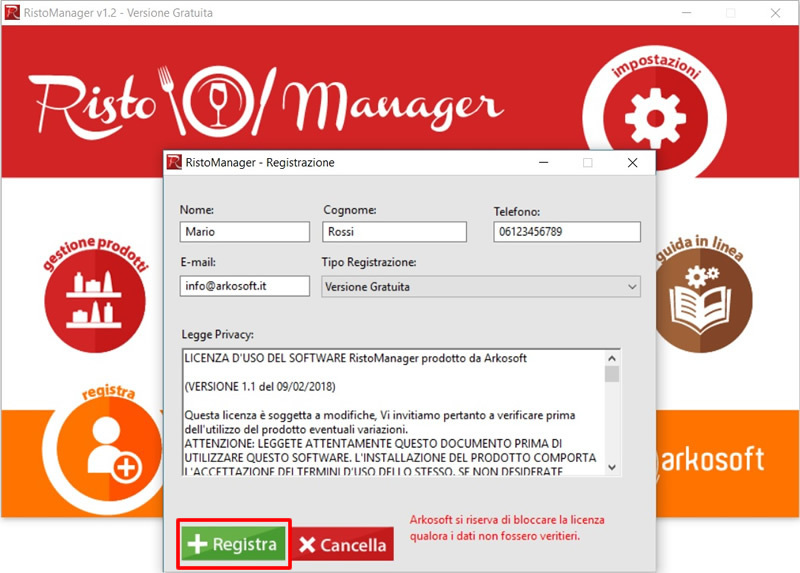 Now you can install Ristomanager software on more than one device, sharing database, therefore you can use a pc (Server) for table management and another one (Client) to organize express line and takeaway. You can configure all this settings in the software “general options”. We upgraded Apple (OSX) version that you can easily download from Apple store and fixed server’s operating principle on OSX (sometimes it didn’t launch). We also add the same upgrades: currency swich and database sharing on Apple devices. In order to get access to this new version you have to subscribe our software, and verify your email by clicking on the link we will send to you. Moreover we upgraded the software making it compatible with European GDPR rule. Now you can undo the subscription by clicking on the same link we sent to you. In the last decade we witnessed a rising interest in food and food services. The reason why is Italians has a great attitude for cooking that is part of our culture from centuries. Because of that Italian people developed a passion for each aspect of cooking. Moreover we have to consider the great success by some reality shows that feeds this phenomena. Even though all over the world in the last 15 years a big crisis occurs in the financial sector, catering service is one of the few that still works fine. A great number of businessman each day desire to start a Restaurant and begin to think about a project bu there is a lot of important things to consider before doing that such as the fiscal cash register. 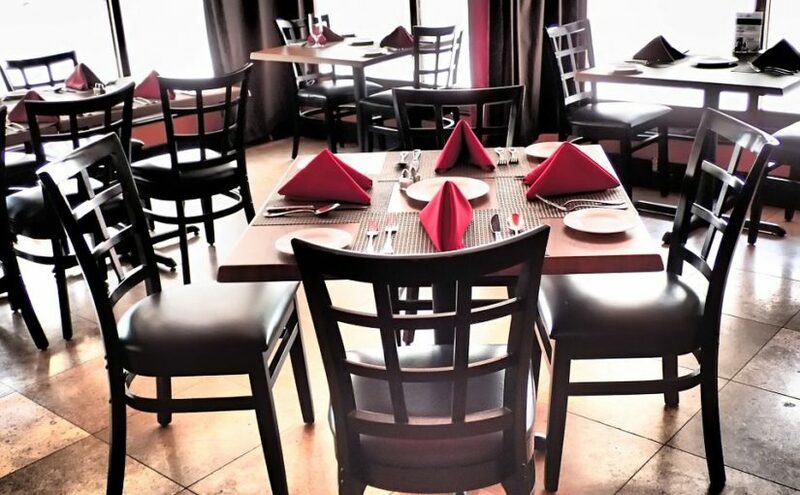 One of the important things to know is absolutely how to choose an appropriate furniture and in particular the choice of the tables that best fit the restaurant. In this article, whose task is to guide you through the choice, we will talk about different tables for restaurants trying to figure out what are the alternatives that marketplace offers and how to choose when you are thinking about your restaurant. We will see the features that a restaurant table must have and the different materials we can choose. When we have to choose the design of our own activity it’s important to find out what and choose the restaurant table that fits our needs. The criteria we should consider are different, let’s start from choosing the materials whit what tables are made of. First of all we should consider that material types evolved over time according to market requests which, as we know, change rapidly and often during years. Because of that the choice is personal and referrers to the style and ideas of design of the client and the needs of its Restaurant. The most common are wood crafted tables, good looking and elegant but expensive. This material is often preferred by those who have the project to start a rough casual old style restaurant, and want to create a warm and welcoming atmosphere. Other materials are metal (steel, aluminium, iron) and synthetic one. The choice of the material is influenced by the space in which you’ll eventually put the tables. Indeed there is a big difference between indoor and outdoor locations, for those who luckily have one. Starting from the indoor location we can say that the main features of the tables are their design and the capability of being easily moved. Due to that we suggest you to choose wood crafted tables and synthetic one. Talking about outdoor location thing changes because often tables do not have a covering on them so they have to resist to the decay caused by natural elements. So, first thing to consider is weather. The best choice in this case is iron, steel or aluminium crafted tables, they are very resistant and tough, not rain nor wind can ruin them. The flaw of metals is that they are expensive, the alternative is to buy cheaper and less stylish plastic tables. You should, without any doubt, avoid wood because it is more delicate and requires attentions and maintenances. Another important aspect of restaurant tables selection certainly is their form and their size. Indeed it’s wrong choosing one bigger or smaller and rounded rather than circular because you will waste space. So it’s important to consider the size of the restaurant room: for example if the room is narrow but long and if the counter seize a big amount of space, the smartest solution could be wall fixed tables. This solution give us the chance to add some sits and use all the space when the restaurant is crowded. Another example is a wide room, in this case a wise solution could be employing squared tables, more handily to join in the possibility of a large number people reservation. A little trick you should do, and a lot of people do it, is to diagonally organize tables instead of in parallel because they occupy less space. Important features that restaurant tables must have are: comfort, essential thing because customers should feel at their ease; firmness and material quality, you should avoid buying low quality products because at some point you will regreat. Also important is tables design because a restaurant with flavourful dishes but awful furniture will never be appreciated by the people. Last but not least you should select tables easy to clean: the lack of cleanliness disadvantage every type of activity. The fundamental thing is coherence between tables and the atmosphere of your restaurant. Puglia with its 700 km of breathtaking shore and it’s 300 km of both green valley and hillocks, offers flavoursome food made of excellent fruit and vegetables, fresh fish and genuine bovine and sheep meat. In the area named “Tavoliere delle puglie” there is an ancient tradition about fruit, vegetables and meat. There are a lot of restaurants where you can taste local products, with a farm-to-table production, that comes directly from the manufacturer to the customer. Excellent cuisine, products are always fresh and comes from the neighbourhood moreover they are wonderfully cooked. We find original the idea of a variable menu coherent with the usage of farm-to-table products. Fair prices. Its simple cuisine enhance the taste of dishes, light and delicious. Moreover after eating a lot, the lightness of the meal helps you stand up easily, without feeling upset. Homey and friendly location, excellent for those who want to taste a great “Tagliata” or some tasty tuna fillet cooked on embers. Started in 1950 it’s symbol of tradition and professionalism. Moving throw Gargano, in Peschici we found Trattoria Bar Costamarina. Spectacular location with a terrace that offers a breathtaking sea view. Waiting service was professional and polite, talking about food fish dishes were tasty and generous. If you find yourself 1 or 2 days in Bari I suggests you to have a meal in “Le Giare Ristorante” restaurant. It’s like a voyage across authentic and intense taste of land and sea originated by the experience and the flavoursome cuisine of chef Antonio Bufi. 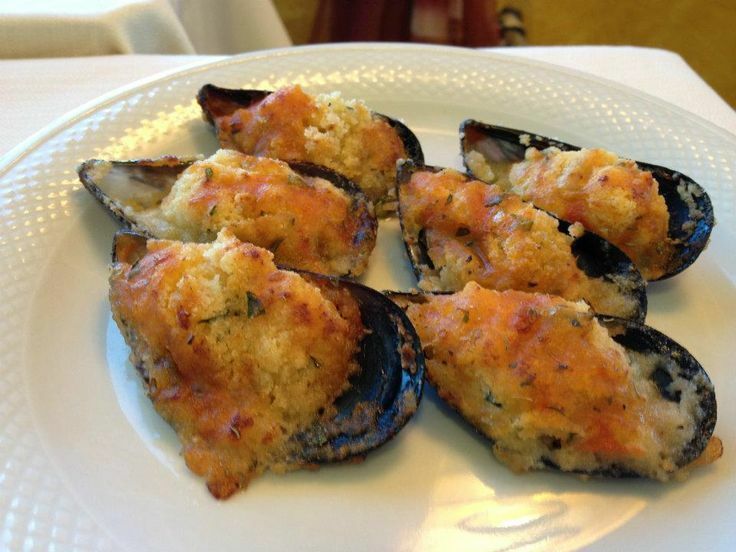 La Pesciera offers different food such as shellfish raw or cooked, fish-fry, fresh baked fish, tartare and sushi-roll. Excellent and premium oysters combined with Champagne close the circle. 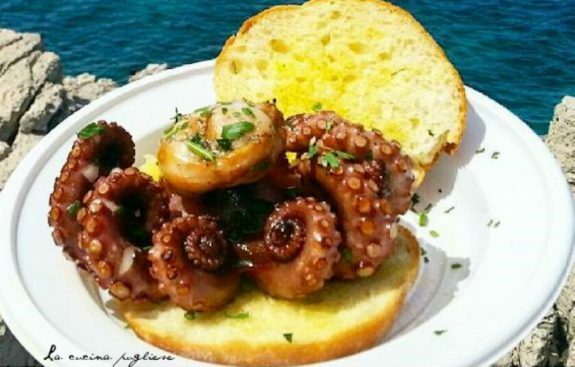 In Salento you can find excellent restaurants where the tradition wisely taught to combine fresh fish, such as famous Gallipoli’s “Schiuma di mare”, with fruit and vegetables that this wonderful land offers. Before even taste traditional well cooked food you should observe the details and the style of this location, unique in its genre. Everything in Salento is different, each place is a discover. It offers interesting and tasty dishes, waiting service is warm and polite, the location is pleasant, it offers fair prices, it’s absolutely the place where everyone would like to have dinner. Excellent restaurant set in the historical center of Gallipoli. It’s best dish is the starter, suggested to me by the owner, made up of 6 small portions. They always serve fresh fish. 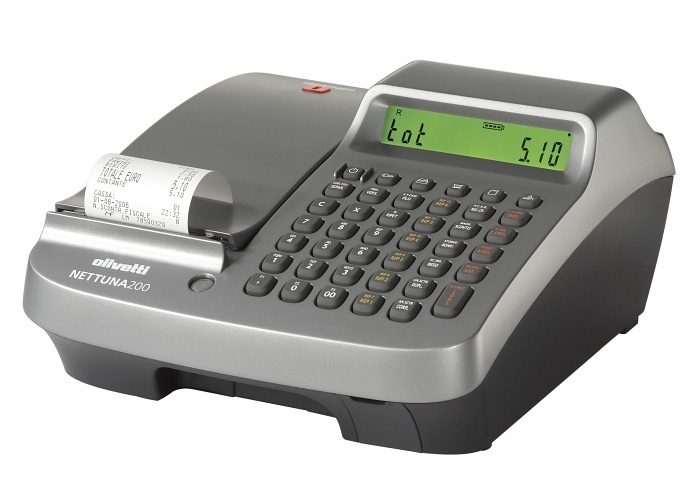 One of the most important tools, sometime it’s necessary, for those who have a commercial activity is cash register. This tool is both mechanical or electronic and its main role is to store data about trading operations, usually is linked to a box where you can organize money and sort it by different denominations. The largest part of cash register can print a cash receipt for the customer in which there are the details about the purchase: the amount of money, the date, and the register identification. Some say that cash register was invented by James Ritty, he was the owner of a saloon and he wanted to avoid that his employers would have benefitted from one of his mistakes and would have stolen part of his earnings. Cash register in a commercial activity is useful not only for payment but also for monitoring the inventory and for the management of cash flow. According to the type of the activity you should choose a cash register that fits your needs. Let’s make an example. People who have a clothing store whose sells are high and that refresh the inventory each season, need a cash register able to connect with a barcode reader, a Pos and a Pc in which it’s installed an inventory management software in order to help each aspect of the activity. Another example is a huge store with a great quantity of trade. The implementation of a touch screen cash register is a profitable investment because it allows employers to do more complicated operation at the same time and to do it faster. In conclusion, before you choose a type of cash register you should consider different variable features otherwise there is the risk of wasting money ending up with something you don’t need. Ristomanager is one of the best software solution for restaurant management on the market, one of the most innovative and one of the most affordable too since you can buy it throw a subscription. This software is compatible with KUBE II F cash register but it’s important to know that it can be used separately, you can employ it as a pre-bill device then you move to the classic cash register, that is not connected with the pc, and stamp the cash receipt. Summer is coming, we shouldn’t be caught unaware whether we eat at home or we eat in a restaurant. This is the last month to keep an eye on our diet without avoiding one or two relaxing dinner in company of your friends or your boyfriend. We have not to become maniac for the scale giving up the pleasure of food wasting great evenings that we could spend together with someone. Here you are some simple and useful tips you should keep in mind that helps your outline without producing in you stress when you jump on the scale. You should focus on one course such as a big salad or a good second course with a side dish, focusing on lean meat, avoiding an excess of condiment that enemy of our body, capable of store toxic substances and fat that are difficult to digest. When someone shows you a menu and you are one of those who won’t give up on a full meal made up of starter, main course, second course side dish stop now you are still in time. Try a light snack with a soft drink, you will feel no more hungry and you will eat less. You should think ahead what you are going to eat and diversify your meals. If you eat a main course during lunch you should eat cooked or, better, steamed vegetables during dinner. With this type of cooking you eat tasty foods lacking calories. Even tough you are with friends you haven’t to give up to over elaborated food with a lot of carbohydrates, instead interchange vegetables to fruit, don’t eat too much but the right tasty quantity. Everyone know that the dessert after a meal in Italy is something you can’t do without. Just eat instead of it a fresh fruit salad, or a dessert made of water such as lemon sorbet or vegan icecream. Salad are light right? Are you really sure about that? If they are composed of only vegetables that is true but if you add some “Grana” (cheese), roasted chicken meat, sauces such as tomato sauce and mayonnaise this is no more true. Salad is tasty but you should mix few and healthy ingredients. Everything we do should be balanced. Sometimes happens that we step out of line, we are not Swiss when talking about food so don’t feel guilty. You should organize before eating in a restaurant, ask for some advices to a nutritionist who will eventually set a diet based on your metabolism, (everyone is different from the others) he’ll suggest what to eat and how much too. 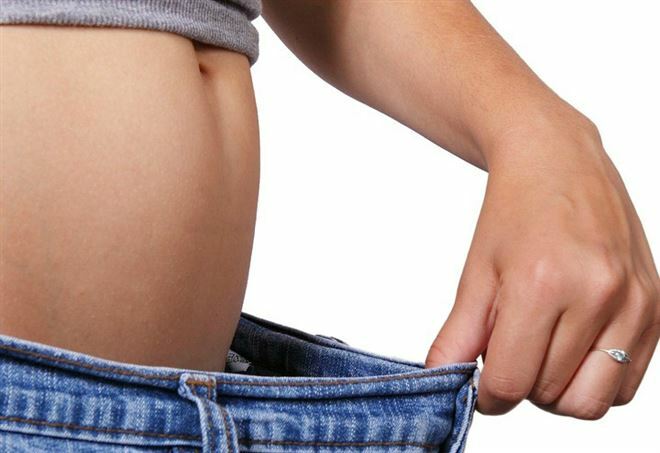 Following his advices you’ll eat different food without eating too much, once you understand your metabolism you’ll be able to choose what you want to eat, for example, “coda alla vaccinara” or steamed vegetables. You will eat without issues in your favourite restaurant leaving behind stress caused by the fear of getting fat. Eating with taste is a form of art and a real pleasure, if we don’t moderate ourselves we can consider it pleasure?